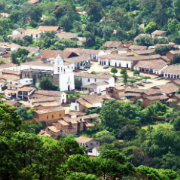 The region surrounding Puerto Vallarta offers vacationers an assortment of natural, cultural, and historic places to visit. Puerto Vallarta’s downtown has plenty of fantastic sites to see. This coastal vacation metropolis combines traditional colonial style with resort flair. There are also ample souvenir-shopping opportunities in this region that is home to indigenous artisans who produce unique hand-constructed crafts. Our English-speaking tour guides can convey you in air-conditioned luxury to travel to the remote rural towns that are home to traditional Spanish-style architecture, local nightspots, fascinating landmarks, and enchanting local shops. 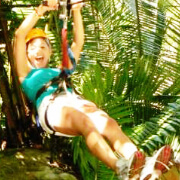 Our sightseeing excursions offer visitors a way to experience the genuine Puerto Vallarta way of life away from the thriving tourist areas. Puerto Vallarta is world-famous for its gorgeous seascapes along Bahia de Banderas (Banderas Bay) and the Pacific Ocean. Whether you’d prefer to see these fabulous coastlines from the water aboard one of our modern sea crafts, or from the land in one of our comfortable coaches, you will be astonished by the amazing sights of this area. During the winter months, from the beginning of December through March, you may even see humpback whales breaching the surface of Banderas Bay. The panoramic shoreline along Banderas Bay is the main attraction in this region, but the mountainous jungle interior contains plentiful natural sights too. The lush forests, verdant agricultural valleys, rolling rivers, Sierra Madre foothills, cascading waterfalls, and thriving ranches near Puerto Vallarta offer visitors a natural wonderland. This region is home to an exotic assortment of flora and fauna, including delicate blooming orchids and flocks of colorful songbirds.